Summary: Bids for construction and contractors bids can be too high. Cost estimating software can help you find a good contractor. Carl, I just bought your book and am just about to pick it up and read it, but I had to ask you this question that has been on my mind. My wife and I are about to embark on tearing down our house and building a new one. I will be the general contractor and this will be my first project. When the contractors or subcontractors find this out are they going to be tempted to up their contractor bids to me due to the fact that I'm new at this and am not an experienced general contractor? What is the best way to avoid this? A few contractors and subcontractors may try and get more money for the job at hand because they think they can, because you are inexperienced and don't know any better. I have had it happen to me from time to time. I don't take it personally as I believe it is just human nature to try and get more money if they can. But if you are informed as to approximately what you should be paying for each of the cost of construction categories, you won't have to worry as much about being overcharged. 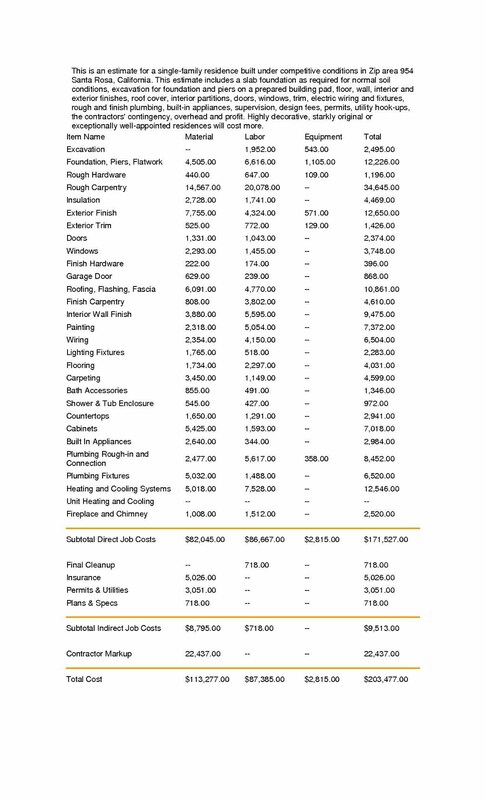 By using the construction cost estimating software you will be able to determine a ballpark figure as to how much you should be paying for each building category, such as plumbing, HVAC, drywall, windows, etc. 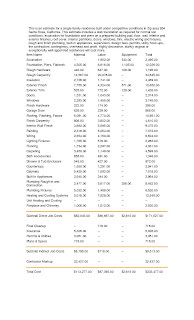 The cost estimating software breaks down each of the contracting categories separately into labor and materials. It almost makes getting construction bids fun! When getting bids from contractors and subcontractors, the home's design and your quality decisions need to be spelled out in writing, called specifications, so that the contractor's bids can be more accurate. Read myadvice on Bids For Construction very carefully. And, as I state on my Getting Started page, the best place to find the lowest contractor bids is on a job site for a new house. That's because general contractors for new home construction try and keep costs low. One note of caution I mention on my House Tear Down page is that you can't tear a house down if there is a mortgage on it! Be sure and read that page carefully as well as How to Control Construction Costs.